It’s Halloween, and amidst the costumed corpses you’re likely to see walking the streets, you’re probably not likely to see one particular corpse that’s still quite fresh: Prey 2, which was just confirmed by Bethesda to have been canceled. Prey 2 was the sequel to 2006’s Prey, a well received shooter that had its own troubled, prolonged development. Developed by Human Head Studios and 3D Realms, Prey featured a Native American protagonist who battled alien creatures while witnessing the gruesome deaths of his loved ones. The game sold well and was critically well received, warranting a sequel. Unlike the more straightforward FPS formula adopted by its predecessor, Prey 2 featured a more open world feel, in which the player character, a bounty hunter named Killian, takes up contracts and employs an array of gadgets and firearms available to him. The game also featured a morality system in which players could interact with NPCs in a friendly, threatening, or even lethal manner. The project was taken up by publisher Bethesda, with Human Head developing. 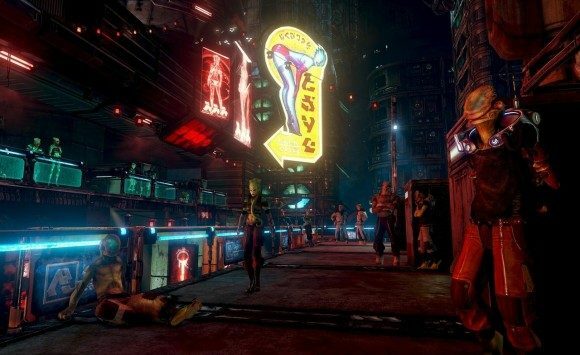 However, between 2012 and 2013 rumors began surfacing that Prey 2 had been canceled, or that Bethesda had shifted developing duties to Dishonored team Arkane Studios. Bethesda denied those rumors, insisting that the game was still being worked on by Human Head. It was a game we believed in, but we never felt that it got to where it needed to be–we never saw a path to success if we finished it. It wasn’t up to our quality standard and we decided to cancel it. It’s no longer in development. That wasn’t an easy decision, but it’s one that won’t surprise many folks given that we hadn’t been talking about it. Still, Hines also added that they might return to Prey 2 sometime down the road, assuming they figure out a way to bring it up to the publisher’s standards.